Designers Dominic Symons and Melissa Sunjaya took their business partnership to the next level in 2003 when they married. Not long after tying the knot, they set their design sights on another kind of entanglement: the knotted mess of cables and cords for mobile devices. Bluelounge’s lineup of media-management products includes the Sanctuary and Refresh, two universal charging stations that hide a slew of device connectors beneath a tray top for a minimalist, streamlined look. 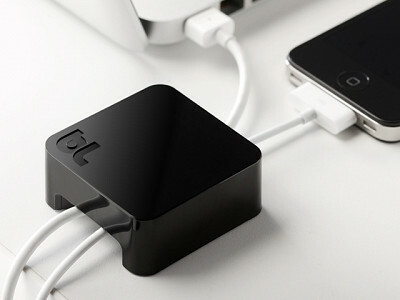 For cable management, Bluelounge devised CableBox and CableBox Mini. These sleek boxes are designed to stow all the loose, untidy cables that typically snake under a desk or behind a TV. There’s room inside for a surge protector or power strip, and a lid keeps everything in place. The paperweight-like Sumo keeps small cables from slipping off the edge of your desk, while the Minidock is a clean, compact holder that charges iPhones and iPods right at the outlet -- no dangling cords or devices left on the floor. Electronic devices keep us connected, but they’re messy. With the Bluelounge lineup, we’re winning the battle of cord clutter without sacrificing convenience or connectivity. Hello! 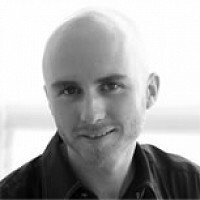 I'm Amy from the Daily Grommet Team, filling in for Dominic Symons, founder of Bluelounge. Unfortunately Dominic is unable to be with us today, but I can answer any questions you may have. We are very excited to launch Bluelounge today and looking forward to your feedback. Do you have a mini dock for the iPhone 5? Thanks for the great question. Right now this is available for the iPhone 4 only, but we will be sure to find out if there are plans for the iPhone 5. The bluelounge office is closed today, but stay tuned and we'll get the answer up here soon. I love your innovative ideas on keeping cable clutter at bay. I have this problem all over the house. My husband's computer desk looks like a cable jungle under there! Can't wait to get mine! Would you provide the measurements of the two types of Cable boxes and the Sanctuary, please? Thank you. Take a look at the tab labeled "details". It's to the right of the "story" tab. There is dimension specific information there. I hve seen these advertised and need to untangle my many cords. Do you have additional information? How many items can be plugged into one item? Glad these appeal to you. There are several items that might work for you here. Have you taken a look at the tab labeled "details"? It's located right next to the tab labeled "story". It should give you more information on each of the products we have. Designers Dominic Symons and Melissa Sunjaya took their business partnership to the next level in 2003 when they married. Not long after tying the knot, they set their design sights on another kind of entanglement: the knotted mess of cables and cords for mobile devices. Bluelounge’s lineup of media-management products includes the Sanctuary and Refresh, two universal charging stations that hide a slew of device connectors beneath a tray top for a minimalist, streamlined look. 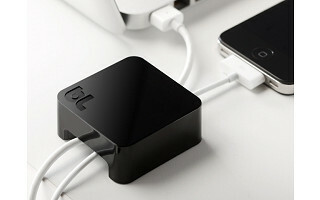 For cable management, Bluelounge devised CableBox and CableBox Mini. These sleek boxes are designed to stow all the loose, untidy cables that typically snake under a desk or behind a TV. There’s room inside for a surge protector or power strip, and a lid keeps everything in place. The paperweight-like Sumo keeps small cables from slipping off the edge of your desk, while the Minidock is a clean, compact holder that charges iPhones and iPods right at the outlet -- no dangling cords or devices left on the floor.